Photomate is our mobile app for Checkmate users. It helps you add photos to parts, inventory parts, move parts, and audit locations. Photomate version 3.1 was recently released to the app store. 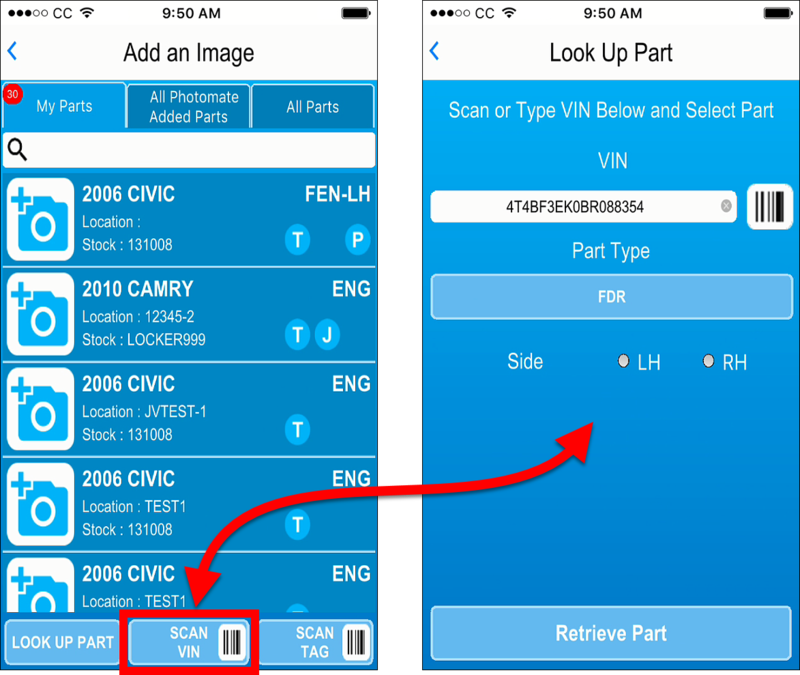 In this issue of the Car-Part Scoop, we'll show you two new VIN-based features that are in this version: scan the VIN to add parts for imaging, and scan the VIN to move part locations. On the Add an Image screen, tap Scan VIN. Scan the VIN (or type the last 6 characters of the VIN). Choose the Part Type (and the Side, if applicable). Tap Retrieve Part to find the part in your inventory and assign it to Photomate. 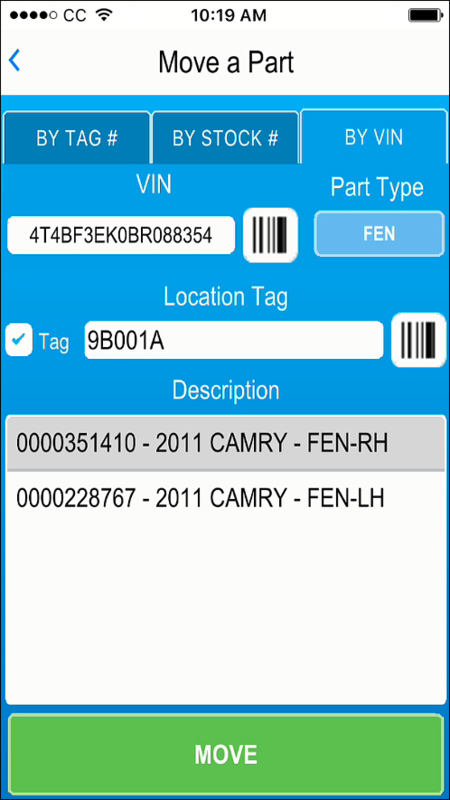 When you're relocating parts, you can now look up the part by the VIN. On the Move a Part screen, tap the BY VIN tab. Scan the VIN (or type the last 6 characters). Continue the relocation process like normal to move the part. Remember, for these new features to work, your Photomate app and your Checkmate Rest Server (CMRS) must both be updated (Checkmate Workstation will prompt you to update CMRS to version 2.0.0.68). Additionally, your Checkmate server software must be updated to at least 2019R1. If you don't have Photomate but would like to learn more, contact your salesperson! To learn more about the features above, or any other feature of Photomate, visit our Photomate Training Library on our Products Site. We have tons of videos and written training guides to help! 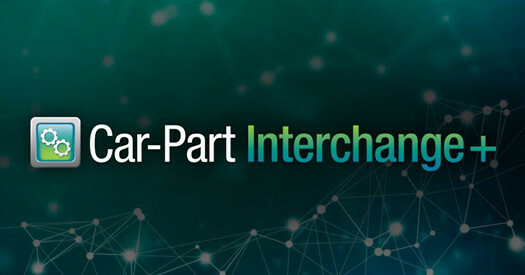 Car-Part Interchange Plus now includes new and enhanced interchange for over 100 parts! Car-Part Interchange Plus is available for Checkmate, Pinnacle, and Powerlink users. Contact your salesperson to learn more. how CPI+ improves accuracy while you buy, inventory, and sell parts. how it affects the search process. © 2019 Car-Part.com. All rights reserved.